Is your concession stand looking a little empty? Have to restock a brand new concession stand and don’t know where to start? 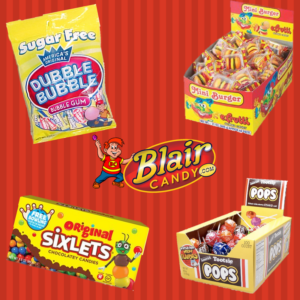 Blair Candy has you covered! 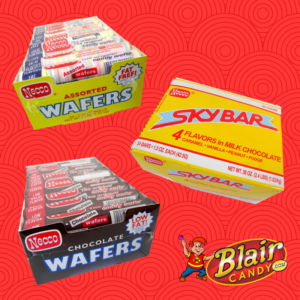 We have plenty of individually packaged candies, snacks, and concession paper supplies to make sure that you have everything you need for a successful snack bar. But what are people looking for when it comes to a candy selection at a concession stand? Gum – unless gum isn’t allowed at your gym facility, you should have gum at your concession stand. We recommend classic gums that everyone will love. 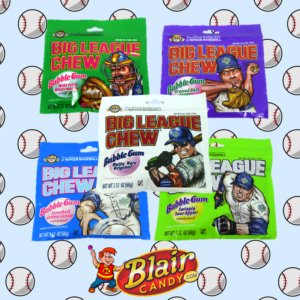 Dubble Bubble Gum, Juicy Fruit, Quench, and Big League Chew are fan favorites. Classic Candy – Always have a throwback candy in your concession stand selection. We have candies like Sixlets, Tootsie Pops, BB Bats, SweeTarts, and plenty more that will be a perfect addition to your stand. Novelty Candy – Don’t go crazy, but a couple novelty candies can add a bit of fun to your concession stand. 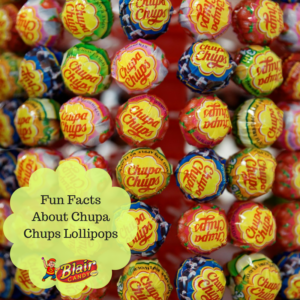 Fun treats like gummy burgers, crazy lollipops, or a new flavor of a classic candy can be a new treat for a fan to try with their favorite snack. 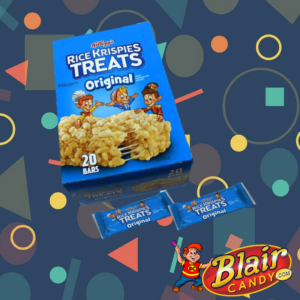 Find all of the concession stand supplies, candy, and snacks today at BlairCandy.com! While you’re there, see if your organization qualifies for Wholesale pricing. 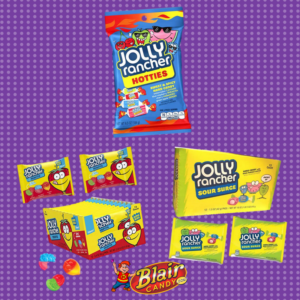 Save big and get everything you need all in one place at Blair Candy. Are You Stocking Up on Summer Camp Supplies at Wholesale Prices? What is the most expensive thing that your summer camp has to stock up on? Chances are, snack foods and paper supplies are some of the most difficult to stock up on. 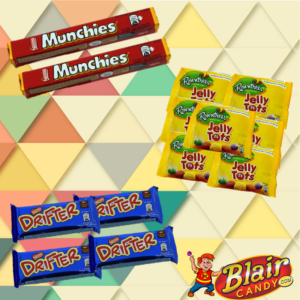 Blair Candy is happy to offer groups, church organizations, and others who qualify wholesale prices as part of their wholesale program! But why should you choose wholesale over other coupons and sales? Many people don’t realize that the savings in a wholesale program add up to be far more substantial than what a sale or a coupon can offer! Plus, wholesale prices tend to stay year-round, while coupons and sales only last so long. Have you noticed that certain sales and coupons only apply to certain products? With a wholesale program membership, you can get the brands you want at any time. For instance, you can purchase the snacks your campers want, like Rice Krispy Treats, David’s Sunflower Seeds, Welch’s Fruit Snacks, and many more. No settling on other snacks just because they’re included on the coupon with a wholesale program! When signed up for the wholesale program at Blair Candy, you aren’t just limited to snack foods. Choose from seasonal candy, paper concession stand goods, and much more! You can save on everything you need to run camps year round as well as during special holiday programs and sports concession stands. 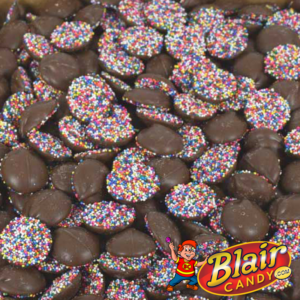 If you’re convinced, head over to BlairCandy.com and visit our Wholesale page to see how you can qualify. Once you’re in the program, be sure to stock up on all of the summer camp supplies at wholesale prices that you need to keep your campers happy all summer long! Learn more and shop now today at BlairCandy.com. 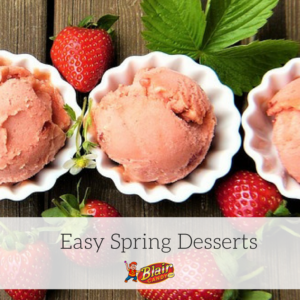 Easy Strawberry Cheesecake Ice Cream – No machine is required for this delicious ice cream treat. What’s great is you can add toppings to your tastes when you make your own ice cream. May we recommend sprinkles, chocolate chips, and maybe even some strawberry gummy candy if you’re feeling adventurous! See this recipe by Life in the Lofthouse here. Spring Cake Mix Cookies – These cookies are delicious, especially when you need a dessert in a pinch. Add some spring colored chocolate candies to a box of yellow cake mix and prepare! See the rest of the recipe on Meatloaf and Melodrama here. Coconut Macaroon Nests – Have leftover jelly beans or egg-shaped candies from Easter? They’ll be extra cute in these nests! A simple coconut macaroon recipe, just with adorable candies to spice things up. See the recipe on Inspired by Charm here. What are you going to try? 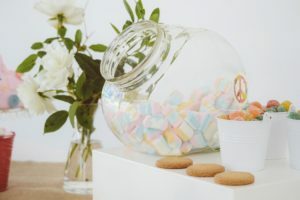 Stock up on all of the candy in bulk you need to make kitchen magic at BlairCandy.com today!